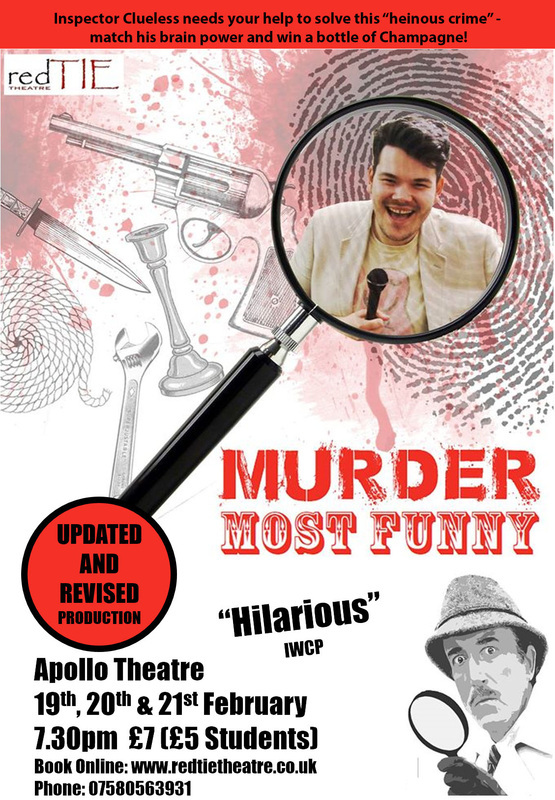 Our next production is Murder Most Funny. Following a successful pre-Christmas run at The Quay Arts Centre, this version has been adapted for stage, updated and extended. Dickie Rotter celebrates 25 successful years in TV comedy game shows and throws a jolly. But not everyone is out to join in the fun. An hilarious show with a nasty twist. Will our intrepid Inspector Clueless uncover the killer? With audience participation, who will win the bottle of bubbly for guessing correctly?